The Cessna 402C Utiliner/Businessliner is a 6 to 10 passenger, light twin, turbocharged piston engine aircraft and was manufactured by Cessna from 1978 to 1985. The Cessna 402C was a development from the Cessna 402B and certified September 25th 1978. One modification for the 402C increases the maximum landing weight to 7,200 pounds which allows commercial operators to fly with an increased payload on shorter routes. The 402C uses two Continental TSIO-520-VB turbocharged, 325 horsepower fuel-injected piston engines. Another modification of the 402C has increased takeoff weight, longer wing span without tip tanks and new scissor landing gear. Has a propeller synchrophaser to reduce cabin noise and vibration. All seats are removable so that the aircraft can be used in an all-cargo configuration. Flysimware received some good help for making sure we could build accurate circuits to a proper flap assembly. 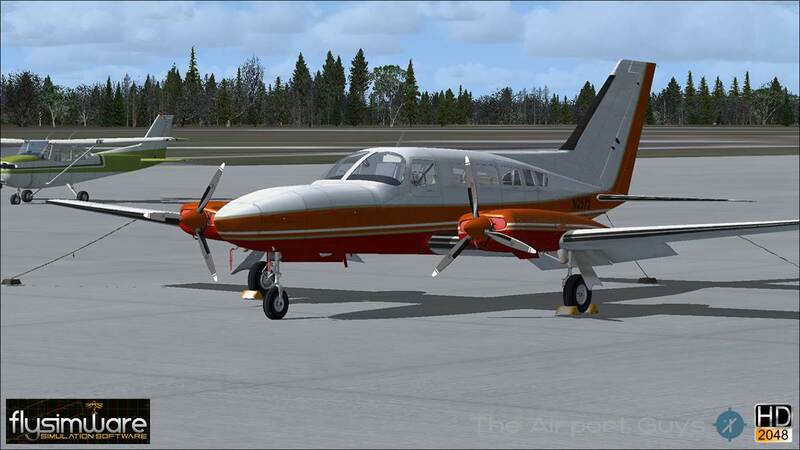 Flysimware brings you one of our best products to date and pushing the quality and accuracy for a real world aircraft with a 360 degree 3D environment. This type of aircraft allows you to fly from remote locations to major airports or just about anywhere in anywhere in the world. Make room in your private hanger for this amazing model as you will enjoy this model for many years. 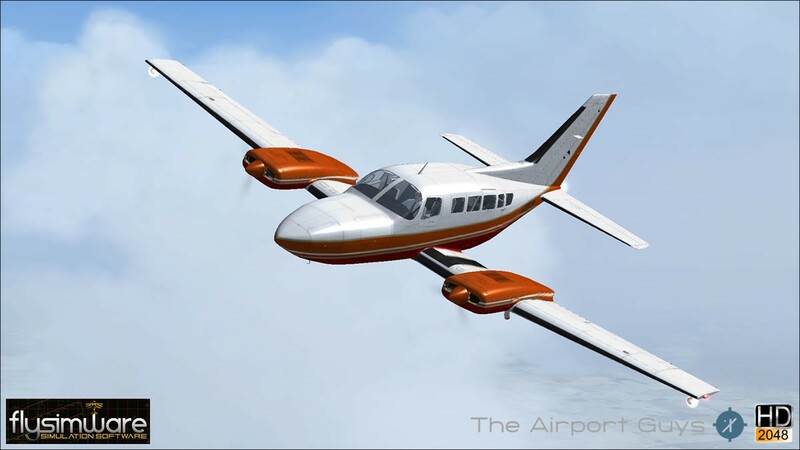 2 Continental TSIO-520-VB turbocharged, 325 horsepower fuel-injected piston engines, 3 blade Sensenich Propellers, structural Anti-Ice System, Generators, Propeller Spinners, Nose luggage and wing compartments, Removable seats. 2 Continental TSIO-520-VB turbocharged, 325 horsepower fuel-injected piston engines. 3-Blade,74 Inch propeller. (no wind, full brake) 2,485 Feet.